We hear a lot about how to boost our immune system through foods. But which ones to choose? Certain foods are heralded for their antioxidant qualities helping you to stay healthy and ward off illnesses. Dr. Neal Malik who leads the Master of Science in Nutrition for Wellness program at Bastyr University, Kenmore, Washington helps take the mystery out of healthy food choices and shares the immune-boosting potential of certain foods. A good source of vitamin D and an underutilized immune-boosting food. In fact, clinical researchers discovered improved immune responses in cancer patients who are receiving chemotherapy and radiation after consuming mushrooms. Typically found as a bright yellow powder, this immune system booster is often used in Asian curry dishes. You may also find turmeric supplements, but be careful with these – many have failed quality testing but are still available on store shelves. A fall and winter favorite that’s high in vitamins A and C, a one-two punch when it comes to knocking out bacteria and viruses. May help our immune cells win the battle against colds and the flu. Add fresh ginger to your stir-fry recipes or as part of a salad dressing! Researchers are discovering that this common ingredient may help kill bacteria and viruses. When possible, consume fresh garlic as opposed to relying on garlic capsules/supplements–the jury is still out as to whether these have the same effect. A perfect beverage on a cold day, we are finding that it may help our bodies ward off infections. Not only that, but as an added bonus, drinking tea will help keep you hydrated. A fall and winter favorite, it contains essential oils that may help reduce the amount of time we spend getting over a cold or the flu. But, be careful about using cinnamon sugar, which is not the same as pure cinnamon! 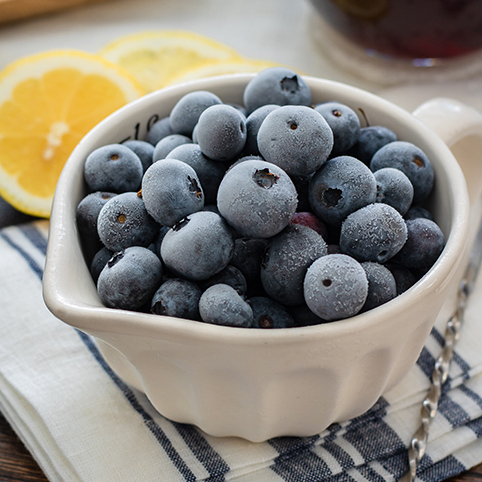 Naturally high in vitamin C and other powerful antioxidants, these can be enjoyed fresh or frozen. I would recommend consuming whole berries, rather than relying on juices/smoothies. There has been some talk that Elderberries may help you recover from illnesses faster, but further research is needed to know for sure. This sweetener has been used as an antibiotic for centuries. It was believed that ancient Romans would apply it to their eyes when they had a bout of conjunctivitis (“pink eye”). Turns out, they were on to something: honey has been found to prevent the growth of bacteria. Add it to your tea or as a topping on your whole grain pancakes or waffles. A good source of vitamin A, protein and zinc, yogurt is a great snack. Not only that, but yogurt contains healthy bacteria that may protect your digestive tract from disease-causing germs. Combine yogurt, berries, and a teaspoon of honey, and you’ve got a near perfect superhero snack! Visit the Healthy Aging® Store for informative books, videos, and more. Copyright © Healthy Aging ® 2019 All Rights Reserved. Sign up for your Free Newsletter now!